Nollywood has always had limited resources to reach a wide audience with its Nigerian movies. With startup of ibakatv, Nigerian movies will reach people who live both in Nigeria and abroad. The platform was set up to take advantage of the gap in the online streaming of Nigerian movie industry. 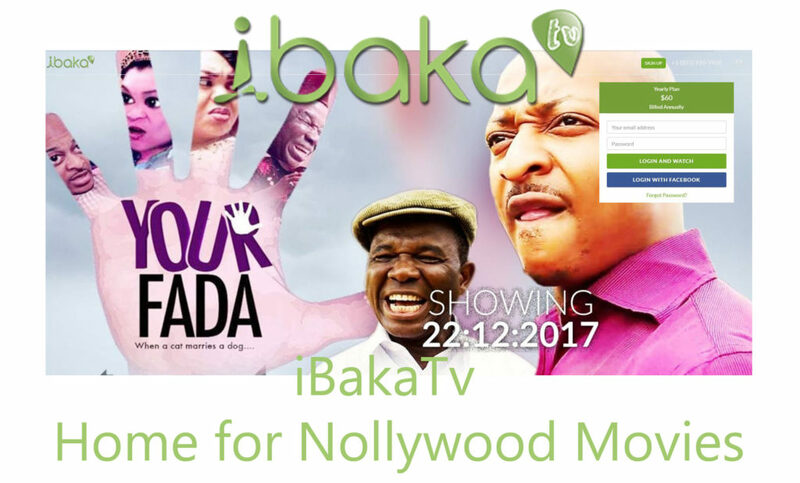 With ibakatv online streaming of Nigerian movies, you get the chance to watch countless number of Nigerian movies and tv series. To be able to watch them, you will to have subscribed first and log in to ibakatv.com. They let you stream Nigerian movies in HD quality. The speed of the stream all depends on your internet speed and the bandwidth. They also lets you watch your Nigerian movies on your TV screen. To do this, all you need to do is connect your computer to your TV using a HDMI cable. Once you connected both, you will notice that your laptop screen will be reflected on your TV. It is that easy. To use Ibakatv with your laptop you will need to visit the official website which grants you access to all the Nigerian movies and series you want. The only catch is you have to be logged in. Logging in gives you access to high-quality Nigerian movies from your home or office. To be able to enjoy the full features of the online streaming platform you have to be logged in. You cannot use Ibakatv login if you have not signed up and subscribed. Subscribing put the countless Nigerian movies you can possible ask for at your fingertips. Here are the steps to follow to access the sign up option. Anyone wishing to sign up for ibakatv needs to visit their official website at https://ibakatv.com/. Once there, you will see the option to sign in located at the top right-hand corner of the website. Click on it. You can either sign up using your Facebook or use the normal sign up process. If you want to sign up with Facebook click on subscribe with Facebook. If you want to use the normal sign up process, enter your email address and a password. The password should be one which you would easily remember. The email you are using to register must be an email you have access to. This is because ibakatv might want to reach you using your email. Once you’ve entered the email and password correctly, an email will be sent to the mail you used to register. This will activate your ibakatv account. Click on the link sent to you to have access to your account. If your unable to click on it, just copy and paste it on the browser you use to access the internet. Once your sign up is complete you will be able to have access to ibakatv login. It also gives you the chance to subscribe to get high quality videos at your fingertips. Once you have accessed ibakatv login, you will be taken to their homepage. If you haven’t subscribed before you will be asked to subscribe to their plans. You can sub for their monthly, quarterly, biannually or annually. Each plan has its own cost. Ibakatv accepts various payment methods. Among them are PayPal, visa, Mastercard, AmEx, Paystack and bank payment. The homepage allows you access to the ibakatv menu. The menu can be found on the top of the homepage. You have the movies option. Clicking on it takes you to the Nigerian movies page where you have countless movies for you to watch. Once you are the Nigerian movies page click on any movie you find interesting and start watching. There is also the tv series where all funny Nigerian tv series can be found. Here you get to see funny Nigerian actors like Saka and AY. Actor menu takes you to a page where you get to see your favorite tv stars. By clicking on them, you see the movies they have acted. My account menu on the home page has a sub-menu where you can change your password if you feel unsafe. You can also change your password if you think someone else has access to your account. You can also view your profile which allows you to view your payment history and watch history. There are times when you might want to watch Nigerian movies while on the move. And because you might not be with laptop all the time, ibakatv tries to solve this problem. It does this by creating a mobile app for it users. This app can be downloaded on the app store fir your respective mobile devices. The app allows you to login, register and edit your ibakatv profile at your convenience. The app, however, isn’t limited to just those we’ve listed. You get to the chance to watch high quality Nigerian movies with your mobile phone as long as you have subbed. To fully use the app, you have to have a fast internet connection. Downloading the ibakatv app is relatively easy. You can just have to your app store and search for it. On android devices, visit the google play store where you then search for the app. The app will on run on android 2.3 and above. For iPhone users, visit the iTunes app store to get your app. The app will only work for IOS 8.1 and above. In an attempt to reach a wide variety of people, both in Nigeria and above, ibakatv has a YouTube page. After a lot of research, founders of ibakatv found out that Nigerian movies are in demand both within and outside the country. With this in mind, the YouTube channel was created. With the emergence of the YouTube channel, they are able to reach more consumers of Nigerian movies. To watch Nigerian movies on their YouTube channel visit https://www.youtube.com/user/mynaijalove or type in Ibakatv on the YouTube search column. You will be taken to the official YouTube channel of Ibakatv. Here you can subscribe to the channel and watch as much videos and Nigerian movies as you want.